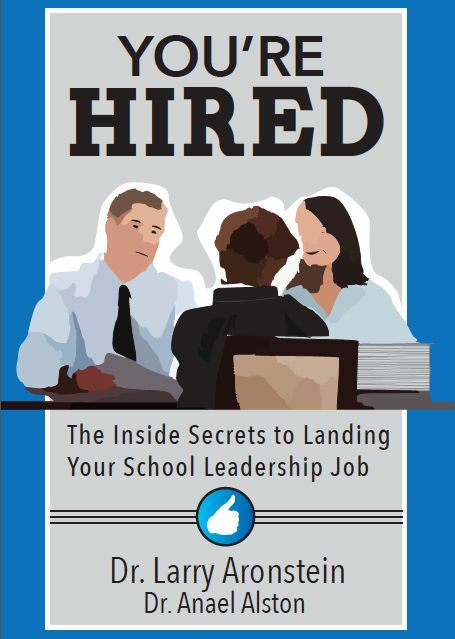 YOU'RE HIRED:THE INSIDE SECRETS TO LANDING YOUR SCHOOL LEADERSHIP JOB is a guide that coaches school and district leadership candidates through the hiring process. You’re Hired: The Inside Secrets to Landing Your School Leadership Job is a guide that coaches school and district leadership candidates through the hiring process. As insiders, the authors know how the hiring process really works. They vividly and simply de-mystify the inner dynamics of the job search process in schools. Their strategies are practical, teachable, and most importantly, they work.